This restored 1930 historic building is part of an extensive and ongoing multi-year revitalization plan to make Union Station a more efficient and attractive hub for commuters. As an important part of Union Station and a National Historic Site, the renewal of the Train Shed required careful restoration to preserve its heritage features. The newly restored Train Shed will welcome visitors with an iconic new glass and steel atrium and sustainable features such as an extensive green roof that will reduce the station’s heat island effect. 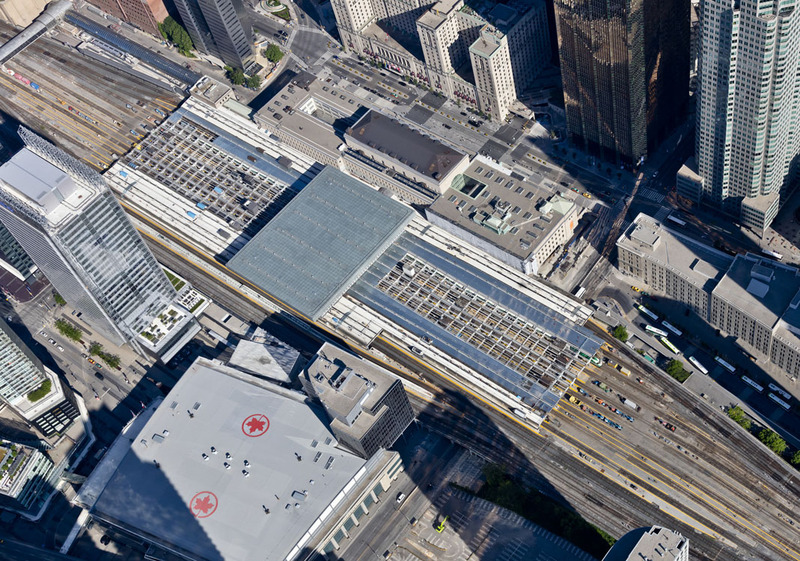 Historic conservation and restoration of Platform 3, rehabilitation of the Train Shed roof, platforms and track slabs, and coordination with the new Union Pearson Express lines have been key elements of the project. EXP’s multidisciplinary services, provided during the construction phase, have been integral to the staging and sequencing of this complex restoration project.